Dr. Brian’s orthodontic dream began when he was just five years old. A few decades later, he is thrilled to now pick up the torch and carry on his dad’s 30-year legacy of orthodontic excellence in Wichita. After receiving his dental degree from the University of Missouri-Kansas City in 2007, Dr. Brian was accepted into an advanced education program where he completed a year of specialized dental training. He then interned with the world-renowned Lancaster Cleft Palate Clinic in Pennsylvania. 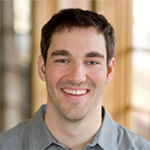 In 2011, Dr. Brian received his orthodontic certificate and Master’s degree from Indiana University. The combination of these distinctive experiences has developed Dr. Brian into a well-rounded orthodontist who strives for “more than a smile” with each patient he sees. Passionate about helping those in need, Dr. Brian has volunteered in several public health clinics and taken dental outreach trips to Central and South America. He is excited to continue offering his dental skills wherever God calls him and his family. 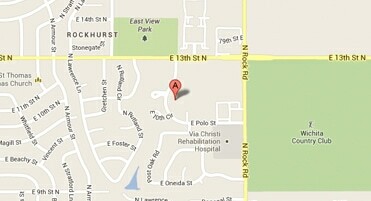 email: drbrian@smithortho.cc. 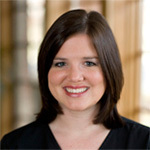 Laura’s warm smile has been part of our team since March 2010. She’s been working in the dental community for several years and enjoys Smith Ortho in particular because of the friendships she’s made with our patients. Laura has been married to her husband Louie since 2010, and in her spare time she enjoys scrapbooking, working with her church youth group and watching KU football and basketball. 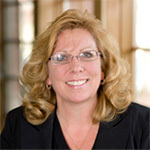 Originally from Colorado, Stacey joined Smith Orthodontics in 1994. She had to leave us for several years when she moved to Florida (due to her husband’s job), but we were thrilled when they moved back to Wichita in 2010 and she returned to our team! Stacey keeps everything running smoothly around our office and truly enjoys building relationships with our patients and their families. She also loves spending time with her children and grandchildren. Taylor’s sweet spirit has been an asset to our team since June 2005. 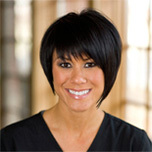 She loves getting to help build confidence in our patients as we develop their beautiful smiles. Taylor is married to her high school sweetheart, Jared, and they have two little boys. Originally from Rose Hill, she feels blessed to still be surrounded by her entire extended family, with whom she spends as much time as she can. She also enjoys music (especially country), reading, going to movies and baking cookies. Mandy’s fun personality has been a valuable part of our team since August 2005. 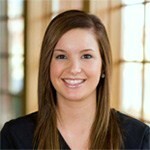 She has a cosmetology license and loves Smith Ortho because of all the final smiling outcomes she gets to see. Mandy is passionate about nutrition and fitness – she loves a good challenge and has run several half-marathons, a mud-run/obstacle course and even a triathlon! She is married with two dogs (Chewy and Cookie). 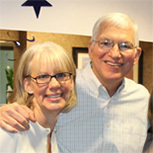 Dr. Robert D. Smith and his wife, Roxie, established Smith Orthodontics in 1981. During his career, he treated more than 8,000 patients and achieved countless orthodontic accolades, marking him as one of the top orthodontists in the nation. Bob went to be with his Heavenly Father in July 2011 after fighting non-smoker’s lung cancer for two years. Before his passing, the Lord allowed him to see an enormous dream achieved as his son, Brian, graduated from his orthodontic residency and joined the Smith Orthodontics team.